The 3x3BL Road to Mexico tournament was conducted in Ambience Mall Gurugram on 17 September , 2017 where many well know International Basket Players have came to showcase their skills. The match is conducted between the following teams – Hamamatsu , Sri Lanka President’s Team , Tsukuba , Delhi All-Stars , Yokohama , Malaysia NT , Ludhiana Basketball Academy , SPC Club . 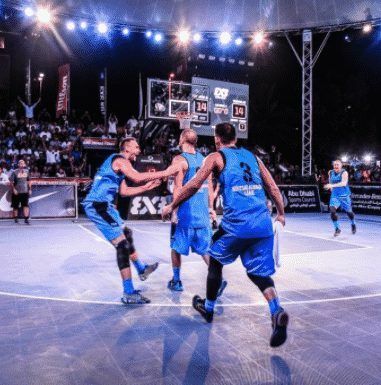 Team Hamamatsu, champions of the 3×3 Road to Mexico. Palpreet Singh Brar, Kiran Shastri, Inderbir Gill, Bikramjit Gill. As the winners apart from a cash prize of INR 4,00,000/- Hamamatsu Team also have won an all expenses paid trip to participate in the FIBA 3×3 World Tour – Mexico City from 30th September to 1st October 2017.